Our friend and mentor, Society Governor, President, Chairman of the Board and Chairman Emeritus, George W. Brett has passed away at age 92. 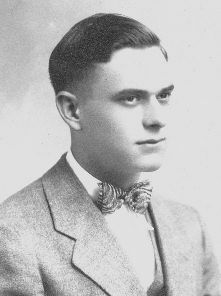 George W. Brett was born May 30, 1912 at Spirit Lake, Iowa, son of John and Jessie (Cummings) Brett. George was raised and educated in Spirit Lake. He worked as an R.P.O. clerk during 1936-42. He married Louise Schindler in Chicago, Illinois May 10, 1941; they divorced shortly thereafter. He then went to the Republic of Panama working for the government as a fiscal accounting clerk when he entered the U.S. Navy. He continued his work in Panama until 1949. Afterward, he continued his education at the University of Chicago, receiving a B.A. in 1953, and his M.S. in 1961. George worked as a geologist at the U.S. Geological Survey in Washington, D.C., where he retired in 1979. He enjoyed travel, photography, mountain climbing and studying postage stamp production. George passed away Friday, January 14, 2005, at Hilltop Care Center in Spirit Lake. He was preceded in death by his parents, brothers John and W. Glade, and sisters, Elizabeth and Charlotte. He is survived by a niece, Mildred Bryan, and a grandniece and a grandnephew. George was widely regarded as the greatest living authority on United States stamp production. For over 60 years he had written groundbreaking research on U.S. stamps from the first issue in 1847 to the most recent issues. He is the author of over 500 reports and articles and also authored a book, The Giori Press, 1961, Printing Methods and Techniques, in 1985. He was regarded as a great teacher and a living legend in the field of philately. 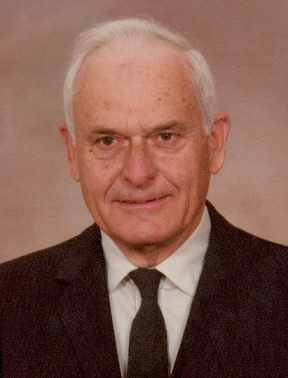 George served on the expert committees of the American Philatelic Society and the Philatelic Foundation and served for several years as a member of the Postmaster General’s Citizen’s Stamp Advisory Committee. Lichtenstein Memorial Award, Collector’s Club of N.Y. In addition to the numerous accolades coming to George from various sources in the philatelic world, many also knew George as a fascinating, knowledgeable person. Many were fortunate to spend time with him at several summer seminars at the A.P.S. headquarters in State College and at numerous stamp shows. He had many stories about activities at the Bureau of Engraving and Printing and often referred to the printing personnel as the “boys at the Bureau.” George’s legacy is not only the knowledge he shared, but also his encouragement for others to share. A member who had never met George remarked that his works will survive him as long as stamps are collected. His U.S. Specialist articles describing in detail the U.S. Bureau of Engraving and Printing presses are a treasure of information. George Brett’s articles could be counted on as being probably the most influential source for the learning and understanding of modern varieties. The name of George Brett is also immortalized in postal history. George worked as an R.P.O. clerk 1936-42, working on trains in Iowa, Illinois and Wisconsin. He once told the story that while he worked at the Chicago R.P.O. Terminal he would occasionally go to the distribution area in the Chicago Post Office and look at the mail sorted for his hometown of Spirit Lake, Iowa. If he found a letter addressed to someone he knew, he would sometimes backstamp the letter with his R.P.O. clerk’s marking as a way of saying “hello” – not according to regulations, but no one ever complained. Many remember George fondly, and one former Society officer remarked, “He was very friendly to me when my knowledge was limited and shared with me everything I asked him for. He was a grand old gentleman.” We will always remember George in that way.